If your website is hosted on ASP Hosting Service's Linux servers, use the SFTP option. Also, you must use the default FTP user that comes with your cPanel account. You cannot connect to CodeGuard using any other FTP user. For ASP Hosting Service's Windows servers, use the FTP option. In case of other hosting providers, you can choose either the FTP or SFTP option, based on your service provider's settings. Hosting companies tend to keep your backups in the same place as your primary files. In case of any eventuality, along with your primary files, your backups too will be affected. CodeGuard provides safe, offsite backup that is 100% independent from your hosting provider. 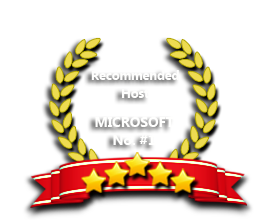 Moreover, hosting companies provide you only the latest backup. CodeGuard follows a versioning system and allows you to restore a backup of an earlier date as well. CodeGuard only supports MySQL database. The database user that you specify in CodeGuard must have the appropriate permissions granted.